I find this very hard to believe, even cutting edge FDM carbon composites can't hold a candle to what traditional methods can accomplish. The article is pretty specific about it being related to composite components. This new type of 3D printing actually uses a material with similar properties to carbon fibre, enabling Ferrari to make actual parts for their car at a speed unprecedented in F1 car manufacturing. It is rumoured to be up to ten times faster than the normal process of making moulds, laying sheets of carbon fibre and then heating by use of an autoclave oven. Maybe, but that still pretty far away form what the article is hinting at. Recently at the mandatory crash test in the CSI laboratories of Bollate, present was the technical delegate of the FIA Jo Bauer. Not a normal thing for the sports governing body to do and the reasons for their attendance became clear later on. 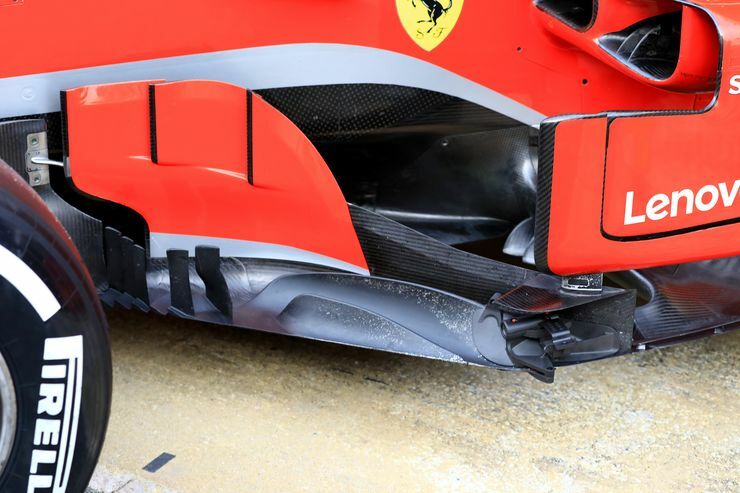 Ferrari has employed a new method of construction using a process similar to 3D printing. 3D printing is not new in F1, in fact, most teams use the technique to rapid prototype new performance parts for their cars at 1 to 1 scale and for the smaller scale wind tunnel models. Although there are some exceptions, most of these 3D printed parts are not structural or raced. The article is strongly suggesting that the team has found a way to 3D print structural components, instead of using traditional molded carbon fiber methods.As I said a little while ago, that's highly unlikely. There is no way that the possibility should be dismissed. Just because anyone doubts the report, it is no reason to dismiss the comments. F1 is at the cutting edge of technology and it is known that CF does not need to be "laid up". Lambo are using machined CF, so why not 3d printed? What I think you are dismissing, is the possibility to 3D print moulds instead of the traditional machining method for some smaller parts that can accelerate the composite manufacturing process. The reason that machined and printed CFRP don't exhibit as good mechanical properties as traditionally laid up ones is because of fiber discontinuity in the first two. Continuous fibers are what give laid up CFRP composites their superior specific strength. so why not 3d printed? You can print carbon fiber already in two ways that I'm aware of. One way is with a filament that contains CF strands. The issue with it, is that the strands of CF are less than a mm in length normally. Thus while the final part is stronger than the base polymer, its nothing like a part made from continuous fibers. The next level up is a system like this one. Filament like the above is used, but continuous strands of filament are also laid down in the part. This is a consumer grade machine, but the concepts are the same as high end machines. This is stronger than the previous methods, and the base polymer, but again nothing like a traditionally manufactured carbon composite. To 3d print with fiberglass, carbon fiber, or Aramid, you have to use a thermoplastic polymer. Thermoplastic polymers are generally not as stiff as Thermoset polymers, and not as temperature resistant. The FDM process builds up parts by slicing the part into layers along the Z axis. This is a fundamental issue that is very limiting. Most CF parts have fibers that move through the X, Y, & Z axis to maximize the parts performance. Even with cutting edge tech you still can't get the fiber to polymer ratio/density you can with high end pre-preg that's been cooked in an autoclave. I'd bet you can still machine a plastic mold from a solid block faster than you could print one. Take a look at this as a random example. I could easily see them 3d print small non structural parts. I could easily see them using relatively cheap, easy to change 3D printed parts as mock ups to test fitment, as molds for manufacturing etc. Especially for small intricate pieces etc. I would think it would speed up part refinement quite a bit. But isn't everyone already doing that? And also, why would you need rapid prototyping with the chassis, a component that probably changes the least of all car parts? I guess the S-duct parts in the nose might be candidates, but otherwise I'd be quite surprised. California-based Made In Space earned a Guinness World Record for "World’s Longest 3D Printed Nonassembled Piece," company representatives announced Thursday (Feb. 22). It is constantly improving, so I think a matter of when rather than if. 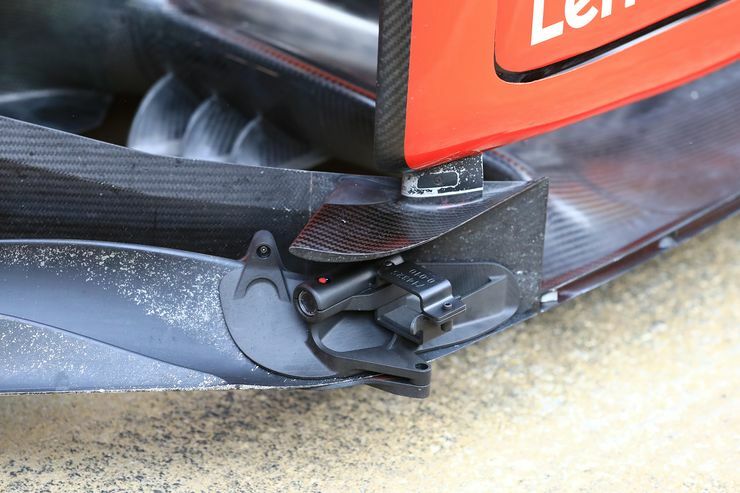 Are they using some kind of plastic composite for the "fins" (for the lack of a better word) in the bottom part of the bargeboards? And you would be right if aero parts were simple to machine. When the parts you are trying to make are complex with no flats for machining setup, parts that need multiple setups to machine. Additive manufacturing methods are far quicker. Due to NDAs I cant post any comparison data unfortunately.